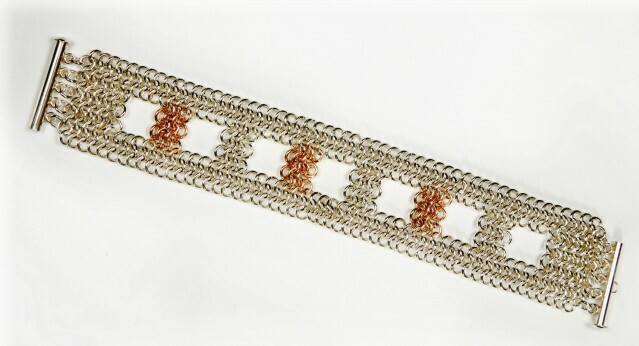 The Checkerboard Bracelet is an original design that I developed as I was thinking about those days as I was growing up during which I played many games with my grandparents. Checkers was a favorite, and it inspired me to develop this bracelet as a way of preserving those wonderful memories. The basic pattern is quite easy. I consider this an advanced beginner weave. Some experience having made one or two other pieces of chain mail jewelry first would be helpful. The clasp is not included in the kit.